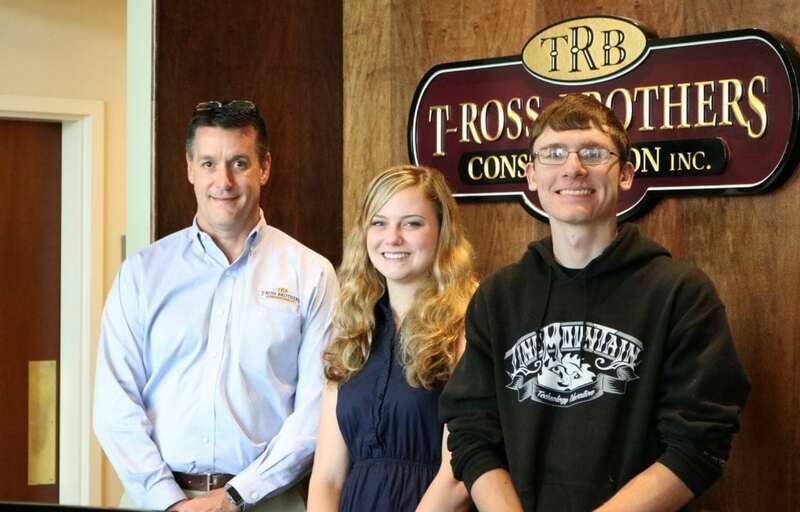 Montandon, PA — T-Ross Brothers Construction, Inc. recently announced this year’s recipients of the T-Ross Brothers Construction Scholarship award. Trynity Lehman of Jersey Shore HS and Nathan Troutman of Line Mountain HS will each receive a $1,500 award towards their education in pursuit of a degree in the construction industry. In 2018, T-Ross Brothers Construction established a Construction Scholarship to benefit a graduating senior interested in a construction-related field of study. Students applied for the scholarship through the First Community Foundation Partnership of Pennsylvania. On Wednesday, the recipients met with Todd Ross, President of T-Ross Brothers Construction to tour their headquarters in Montandon. “We wish Nathan and Trynity the best of luck in their studies,” said Ross. Troutman will begin classes at Triangle Tech in the Construction & Carpentry field in June. Lehman is a rising freshman at Marywood University studying to become an Architect. The post Announcing our 2018 Construction Scholarship Recipients appeared first on T-Ross Brothers Construction, Inc..